The Professional Fellows Program is pleased to announce the four spring 2016 Alumni Impact Award (AIA) recipients selected in recognition of the impact they are making on their communities after participating in the Professional Fellows Program. Their outstanding achievements will be acknowledged at the upcoming Spring Professional Fellows Congress in Washington, D.C., May 31-June 2, 2016, where they will discuss their work and have the chance to connect with over 270 Fellows from around the world. 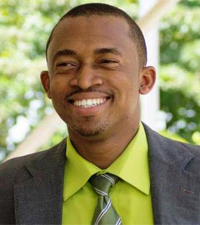 In addition to his job as a Business Connections Coordinator with Habitat for Humanity, Haiti, Doudly Elius runs ‘Empower Haitian Women,’ an organization he founded in 2015, which designs projects to empower one of the most vulnerable communities in Haiti - women living with disabilities. Following his participation in the Professional Fellows Program, through which he developed a monitoring and evaluation tool for Rutgers University’s Small Business Development Center training program, Mr. Elius demonstrated his passion for community development in various ways. He obtained a grant for a community project to deliver business training to people living with disabilities as well as Training of Trainers sessions for senior business students. Subsequently, Mr. Elius developed the idea to educate women living with disabilities in business management, communication and leadership, which ended up winning the Alumni Engagement Innovation Fund (AEIF) grant competition. Mohammed Arif, a head nurse for the Moroccan Ministry of Health whose responsibilities encompass community health outreach and environmental health, is committed to building and strengthening public health programs and services in Morocco. His U.S. fellowship provided him greater understanding of public health issues as well as a new set of tools, resources, and knowledge to enhance health care in his community. Mr. Arif has successfully applied his fellowship experience implementing impactful projects such as the Tamazirt School Health Club, the Health Peace Hike, and the Outreach Cancer Program which significantly reduced diarrhea in communities, promoted healthy lifestyles and increased health literacy on issues including cancer. The fellowship also connected Mr. Arif with other alumni, NGOs, and community partners that helped him to expand his project ideas. Mohammed Arif has a passion for designing and implementing outreach prevention programs through conferences, workshops, sporting events, and trainings and is determined to find ways to overcome unequal access to healthcare services in rural Morocco. Guided by the motto: “Why treat people without changing what makes them sick?”, he has successfully initiated social change and improved community health through prevention education. Recently, his rural community work was featured on a local Moroccan television channel, and he was selected as one of 24 rising leaders from the region to participate in the Swedish Young Leaders Visitor Program. 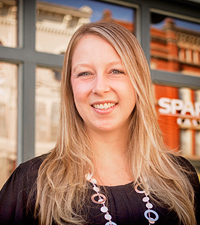 Molly Leonard is the Director of Strategic Design and Development at Sensei Change, a business strategy consulting firm in Ypsilanti, Michigan. Ms. Leonard is a professional leadership coach, trainer, and a lead facilitator for the Michigan Shifting Gears program for professionals who seek to make a career transition. After hosting Professional Fellows from Egypt and Israel, who helped to run a training and business simulation program, Ms. Leonard travelled to Israel, the Palestinian Territories and Egypt. She delivered workshops on professional development coaching, spent full work days in each of the fellows’ organizations and visited numerous other organizations. Ms. Leonard shared her knowledge of small business growth from Michigan and learned about best practices in the countries visited as well. As a result of their work with Molly Leonard, both foreign fellows were able to introduce programs similar to Shifting Gears in their own organizations. 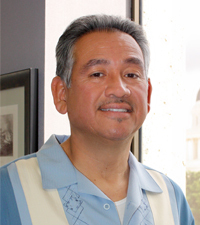 Jose (Joe) Ayala is the Principal Deputy Legislative Counsel at the California State Office of the Legislative Counsel. In that capacity, he manages a branch that handles laws relating to criminal law, family law, juveniles, courts, public health and social services, among other legal concerns. 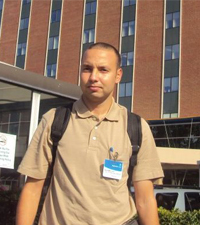 Mr. Ayala has been a champion of the Professional Fellows Program for seven years. He was first involved with the Legislative Fellows Program hosting Russian and Ukrainian fellows, and later went on to host fellows from Armenia and now Southeast Asia as of spring 2016. He spearheaded his Office’s partnership with both American Councils and with the Department of State, fostering an environment of curiosity, learning, and both professional and personal development for each of the Professional Fellows hosted in his office. He has traveled on outbound programs twice, helping both Ukraine and Armenia to further the development of legislative standards. He has also served as a connector, bringing his staff in to the program so that they too can engage with fellows and learn about their countries. Finally, he has shared his expertise as a veteran Professional Fellows host with other American organizations providing sound advice during orientations.